Are your heavy vehicle drivers trained to handle an emergency situation? 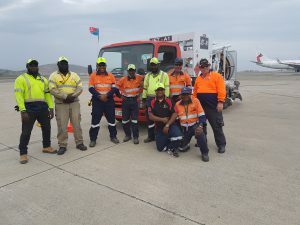 Heavy vehicle training for buses and tucks has traditionally been limited to an on road environment minimising the opportunity for drivers to explore the vehicles response in an emergency. 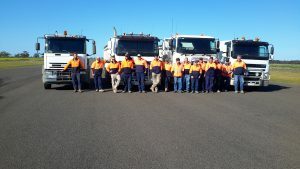 Performance Driving Australia have the facilities and experience to create advanced heavy vehicle driving programs to up skill your team so that they can better deal with a range of scenarios – keeping them safe and avoiding incidents. From School Buses to Fuel Tankers and everything in between – programs are provided at venues that allow drivers to explore the vehicles response in an emergency situation safely. This experience can be life saving – for your driver and other road users. Performance Driving Australia cater the program to meet with a clients specific requirements. This includes the type of vehicle, driving environment, driver experience level and location for training. With this information we can provide a recommended solution for you to review and then deliver the training – anywhere in Australia or overseas. Information and feedback can be collected to provide to you for future reference and any training recommendations will also be provided. If you feel that your team could benefit from some additional training to reduce the risks associated with every day driving – contact us.